Question: Is it possible to import in Projetex csv or xls word counts produced by Trados? Answer: Yes, it is possible by using the built-in CATCount utility, which is available through <=CatCount buttons in New/Edit Jobs and New/Edit Quote dialog boxes. After you click these buttons, the CATCount dialog window appears, where you will be able to use the Load command from the Log menu and load Trados results. 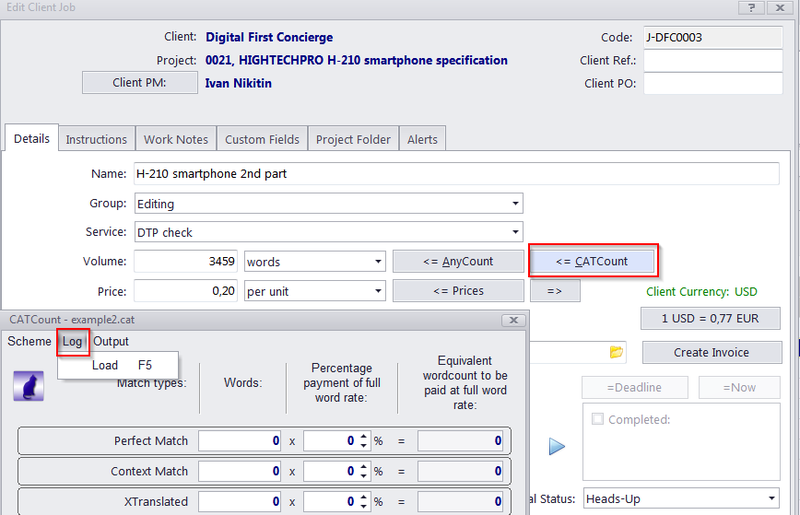 After you click OK, the Trados word count will be transferred into Projetex as a single number, with detailed results available at the CATCount Notes page.